You loved the picture I made at Hutspot Utrecht and posted on my Instagram yesterday so I thought it was a good idea to show it on the blog as well. I have always loved sea urchins, except for the spiky black pins of course, and remember when in Sardinia to collect them and how they looked beautiful in our courtyard. 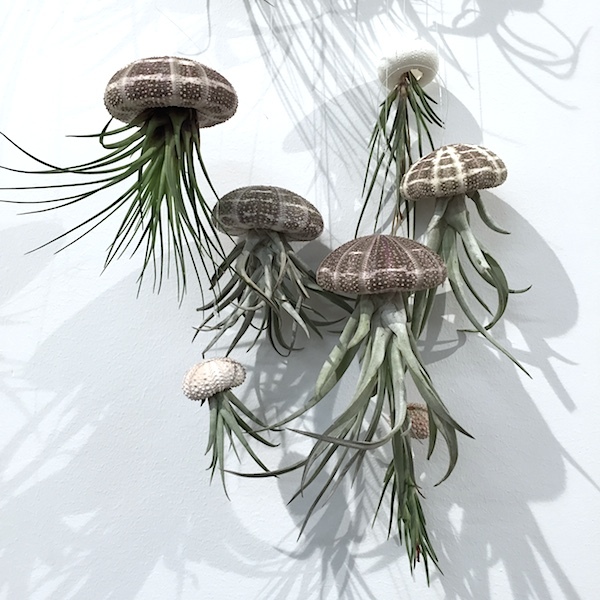 I think they look pretty cool with the air-plants creating one big jellyfish family hanging from the ceiling.